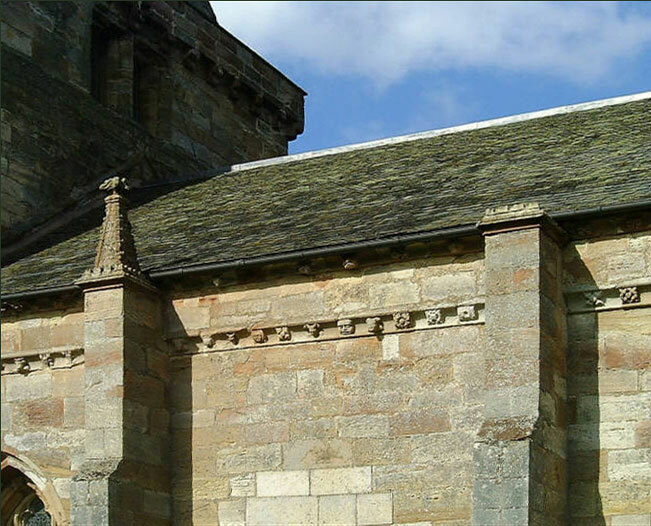 Another shot of the exterior of Crichton Collegiate Church showing the previously shown pinnacle (left) but this time with a little more in the way of scale. The buttress to the right does not have a pinnacle either it is unfinished or, more likely, has been damaged. The pinnacles at Crichton are very reminiscent of those at Rosslyn although they are not so large nor are they part of flying buttresses.